As you may know you can review your purchases from Polka & Bloom and be automatically entered in a drawing to win a free pattern. Apart from the fun of randomly being able to give a free pattern to someone, it also means a lot to me to hear what you think of the patterns or ebooks you buy from Polka & Bloom! Sadly, though, I've been running absolutely behind with the picking of such winners lately! So here are three in one go. Randomly picked of course! Beautiful patterns and I appreciated the free one that came with the purchase. 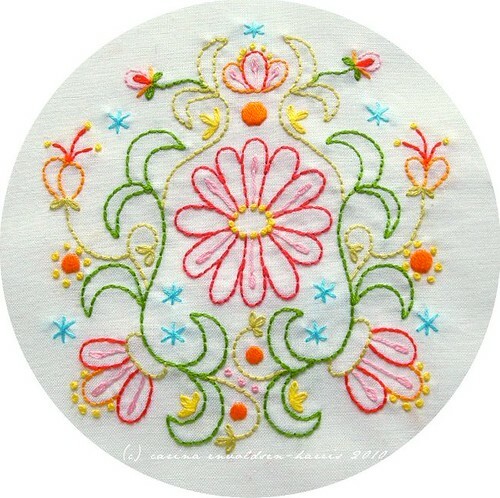 This was the first embroidery pattern I ever attempted. I'm sure I could have picked something less intricate for my first time out, but I wanted to choose something beautiful that I would want to keep when I was finished. I love it so far! I spent 2 hours working on it this evening, and it's just great. 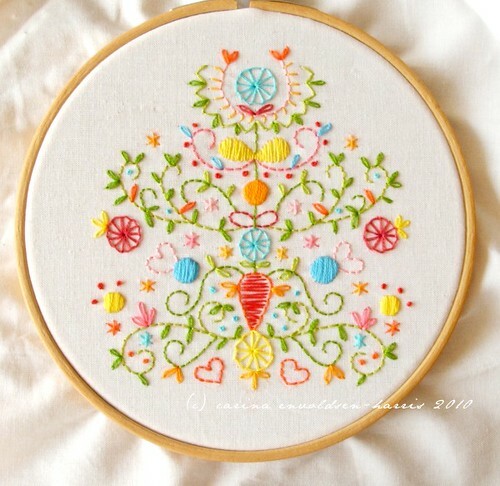 I love the design and the colors, so beautiful! I can't wait to make more! I needed a pick me up, and when I saw May Flowers on your blog, I knew it was just the thing! 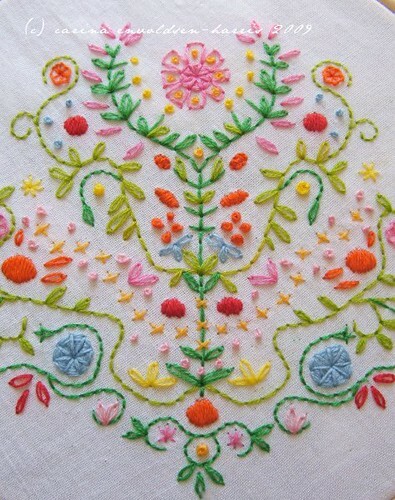 Love the airy design and colors that are quietly happy. Also loved the smaller patterns that were included. 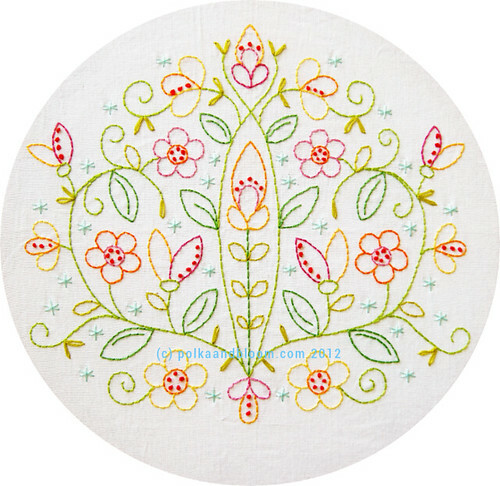 Thanks for a wonderful spring design! Thank you all for taking the time to tell me what you think!